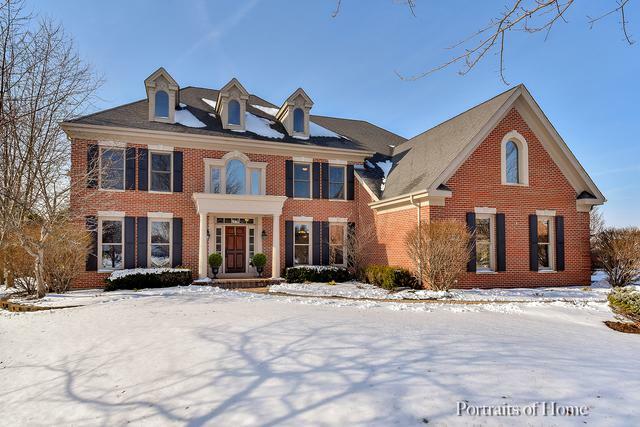 High-end Dericco builder home on a premium cul-de-sac lot, feels like vacation at home! 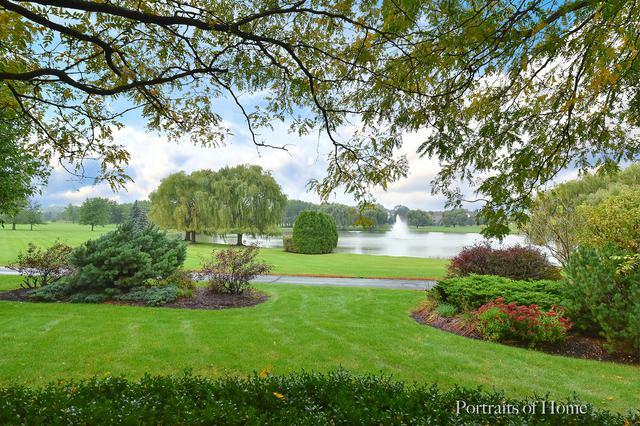 Unbelievable view of open green space & pond. 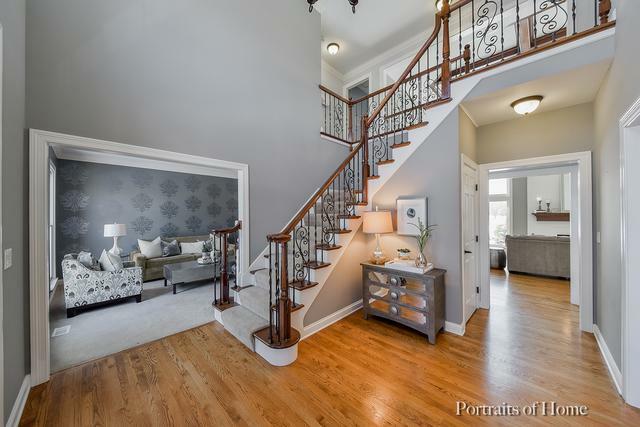 Extensive white trim woodwork & updates throughout. Roof New In 2008! NEW windows in family room, kitchen including patio slider door, office, master suite & bedroom 4. 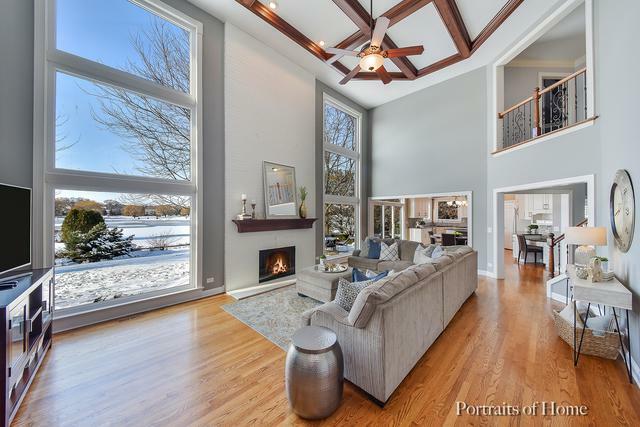 2-story grand family room w/ coffered detail ceiling, floor to ceiling windows & fireplace. Bright modern kitchen features white cabinetry, granite counters, backsplash, walk-in pantry & stainless appliances. Remodeled finished basement in 2017 w/ new paint, carpet, bar w/ wine fridge, theater room & recessed lighting installed. Entire home newly painted in today's colors including ceilings & trim! 3 full baths upstairs includes a Jack & Jill. Master suite w/ tray ceiling, luxury bath w/ travertine marble floor, walk-in shower & custom closet organizer system. 1st floor office w/ built-in bookshelves & wainscoting. Dual staircase. Highly rated STC schools, walk to Bell Graham Elementary!